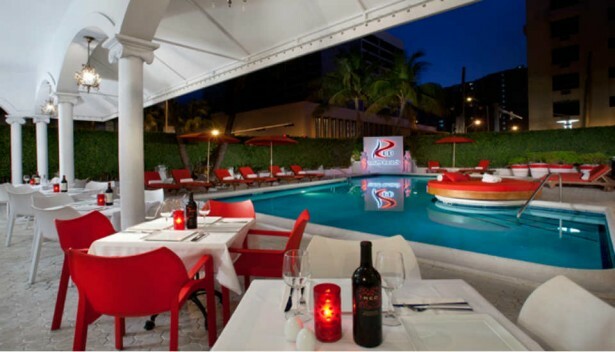 Red South Beach Hotel offers guests welcoming accommodations in this trendy, upbeat boutique hotel. Artfully blending baroque elements with contemporary finishes the Hotel's hip design brings you back to an era of simple yet stylish beauty, sophistication and personal service. Located at the gateway to South Beach, only half a block from the white sands and clear blue water of the Atlantic Ocean, Red South Beach Hotel is the ideal location to enjoy all that Miami has to offer. The hotel’s central location on historic Collins avenue in iconic Miami Beach puts guests just steps from the world class nightlife, entertainment, dining and shopping of South Beach.